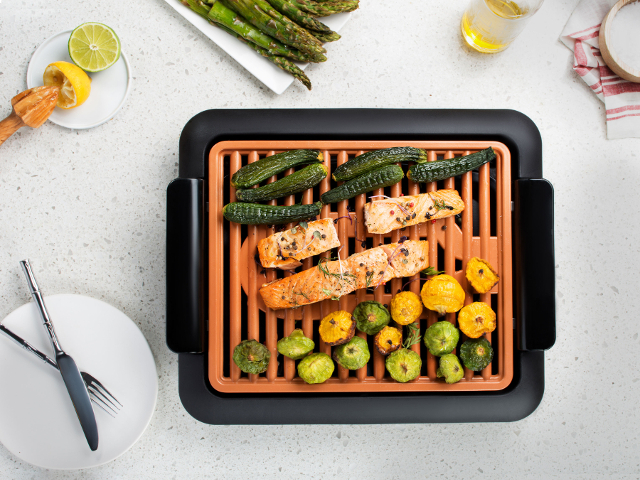 Gotham Steel was thought up in New York City as a Cookware brand dedicated to helping busy people easily create healthy, homemade meals the clean and non-toxic way. Convenient and clever is what they aim for with twist to lock handles, reversible bakeware and square shaped cookware sets in their collection. Gotham Steel's secret is their patented Ticerama coating found on all of their products which is a combination of super tough Titanium and naturally nonstick Ceramic. Whether a novice in the kitchen or an experienced chef, you’ll enjoy the high quality and modern design of Gotham Steel’s collection.